Toowoomba and the Darling Downs are an integral part of the South-East Queensland country. You can reach this delightful destination following an hour and a half’s drive from Brisbane. Toowoomba is an ideal spot for your next Campervan Hire Australia holiday with your family or friends. Toowoomba is a stunning spot located on the periphery of the Great Dividing Range and overlooks over the Lockyer Valley. Holidaymakers love this spot for its endless, awe-inspiring views. Toowoomba is a contemporary capital with conspicuous heritage buildings which blends well with the modern, vivacious structural design. As you drive your Campervan Hire through the historical streets you will be awe-struck by the heritage of the town which is evident through its buildings. This scenic destination is brimming with gardens and parks which is why it is renowned as Queensland’s Garden City. The city is famous for its internationally themed gardens. Drive your campervan rental to the University of Southern Queensland Japanese Gardens for a one-off experience. The careful precision of Japan’s culture is apparent in every corner of the garden. Take a leisurely walk along the boardwalks and striking paths for an inimitable experience. To experience the natural world you must stopover at the New Zealand themed park sited at Lake Amand as well as the Wetlands of the World. If you visit this charming city in the month of September you can experience the Carnival of Flowers. You will be astounded when you glimpse the multicoloured blooms. Acquire some local plants and take a part of this beautiful garden city as a souvenir. You must explore the quaint antique stores, heritage exhibitions, museums and hotels on your Hire Motorhome Australia trip around this fascinating city. Travel around the boutique wineries which have striking vineyards along with chic cafes and galleries. The museums and galleries accentuate the city’s rural past and incorporate antique as well as modern art in their exhibitions. Toowoomba has quite a few prize-winning restaurants as well as trendy coffee shops. The pledge by the locals to provide outstanding wines and gourmet food is simply a traveller’s delight! Set out on an exciting motorhome hire Australia holiday to Toowoomba and take a trip around the incredibly scenic surrounding areas. Set off northwards along the Great Dividing Range and stopover at the Crows Nest. The scenery throughout the drive is simply stunning and you must halt your vehicle in some of the charming towns such as Cabarlah, Highfields, Crows Nest and Hampton. To experience the sheer splendour of nature you can go camping in any of the adjoining national parks or you can simply park your campervan hire in any of the neighbouring caravan parks. 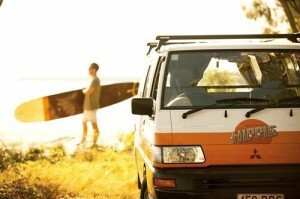 Toowoomba is the perfect destination to explore on your next Campervan Hire Australia Holiday. Simply unwind, take it easy and absorb the natural loveliness of the region. The vibrant gardens, spectacular views and attractive structural design offer an allure that is inimitable to this regional city. This entry was posted in Australia Campervan Rentals and tagged Australia Camper Hire, Australia Camper Van Hire, Australia Campervan Hire, australia motorhome hire, Campervan For Hire, Campervan for Rent, Campervan for rent australia, Campervan Rental AU, Campervan Rentals AU, campervans for rent, motorhome hire sydney, motorhomes hire adelaide, motorhomes hire australia, motorhomes hire melbourne, motorhomes hire perth. Bookmark the permalink.